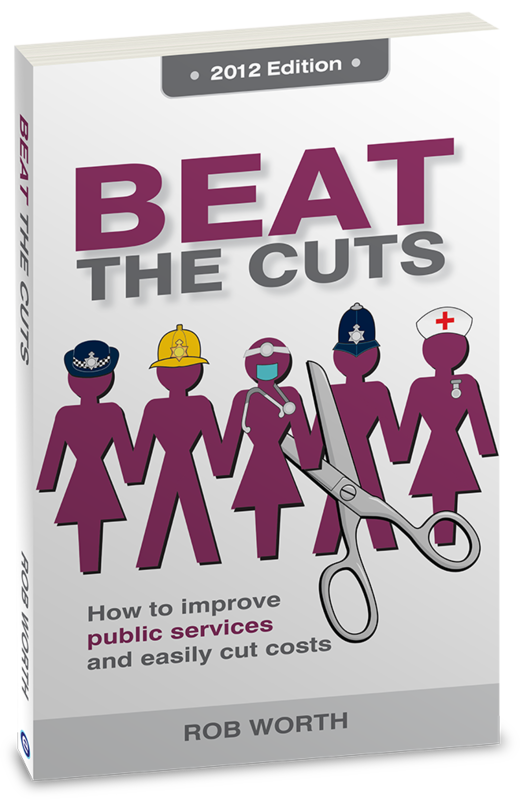 The FDA union‘s Public Service magazine kindly reviewed my book, ‘Beat the Cuts – How to Improve Public Services and Easily Cut Costs‘ in their recent Spring 2013 edition (link to pdf). 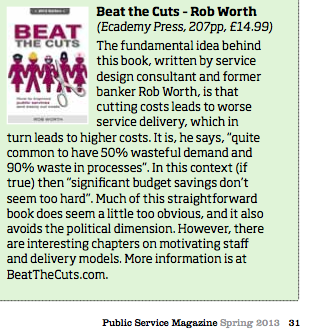 See the review below. The only comment I’d make is that if what is described in the book is “a little too obvious”, then why are so few people doing it?